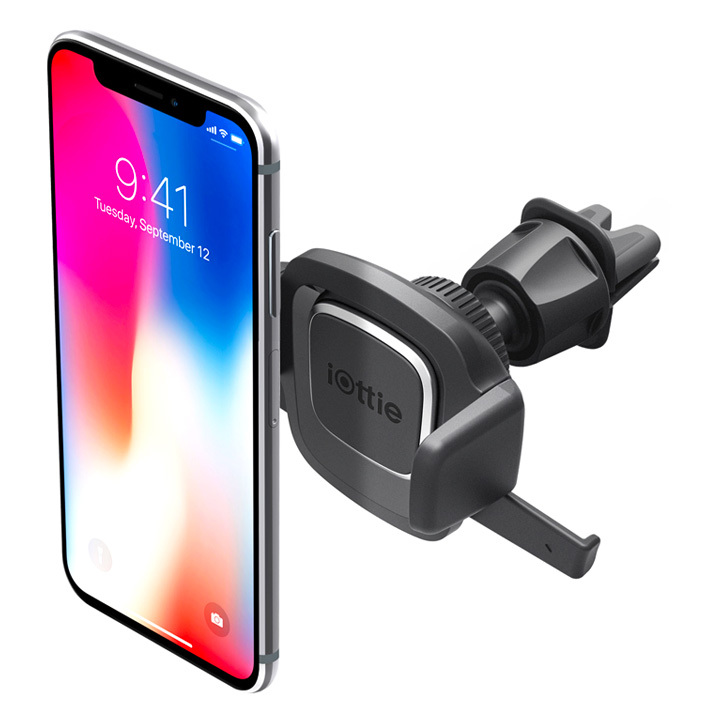 The iOttie Easy One Touch 4 air vent phone holder is a secure and sleek smartphone mounting solution that installs in most car models. This compact vent phone holder features the convenient Easy One Touch system that allows you to mount and retrieve your smartphone with one hand. 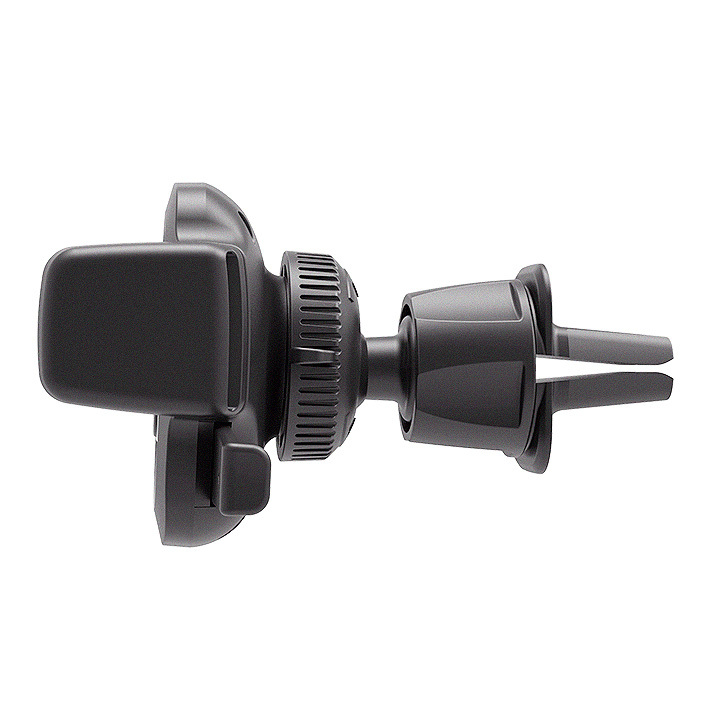 To install the phone holder for your car’s air vent, simply loosen the Twist Lock and position it onto the air vent blade. 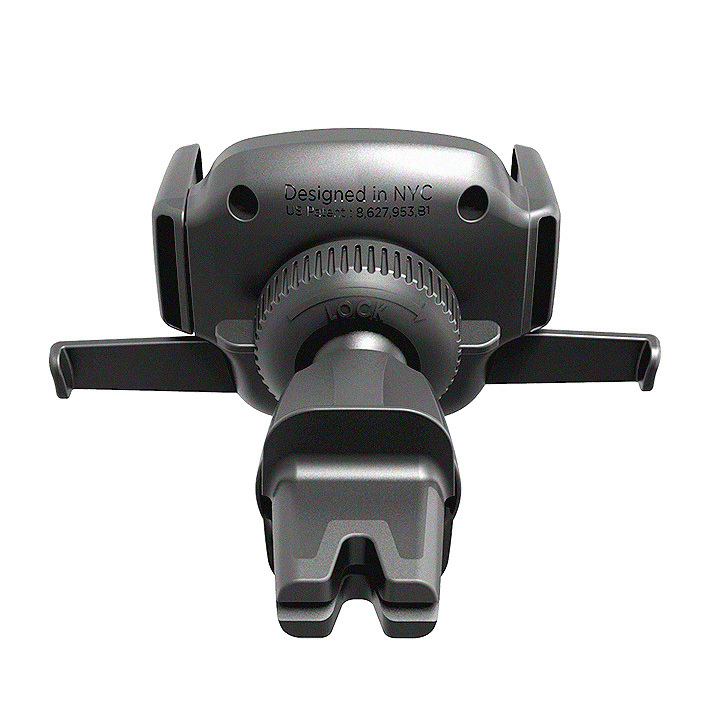 The ball joint on the air vent mount allows you to adjust the cradle for an ideal and safe viewing position while you drive. Once installed on the air vent, the phone holder’s Easy One Touch feature makes inserting or removing your smartphone fast and convenient. 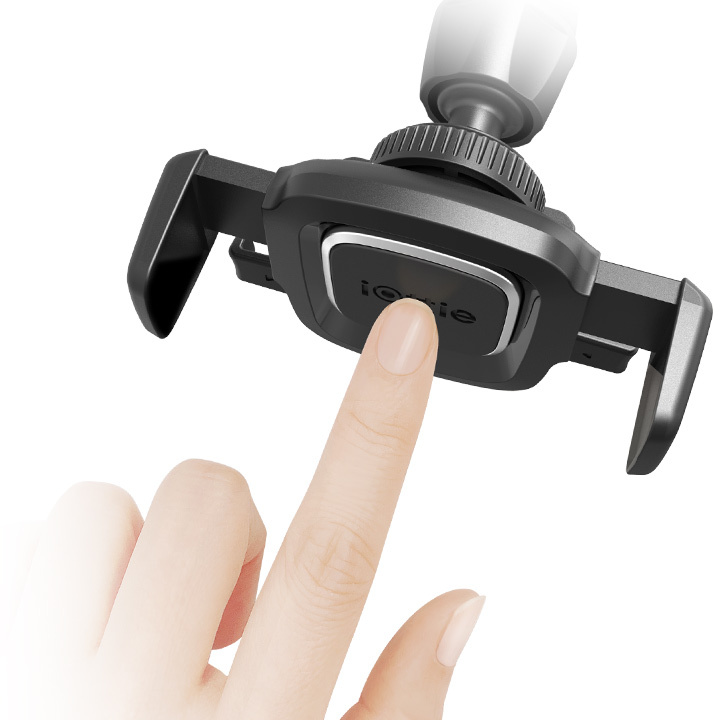 The Easy One Touch 4 air vent mount is compatible with all smartphones including iPhone and Samsung to give you the freedom to drive safer on the road. The air vent mount’s built-in Easy One Touch lock and release feature allows you to mount and remove any smartphone in seconds. Simply press the locking side arms and place the smartphone against the trigger button. 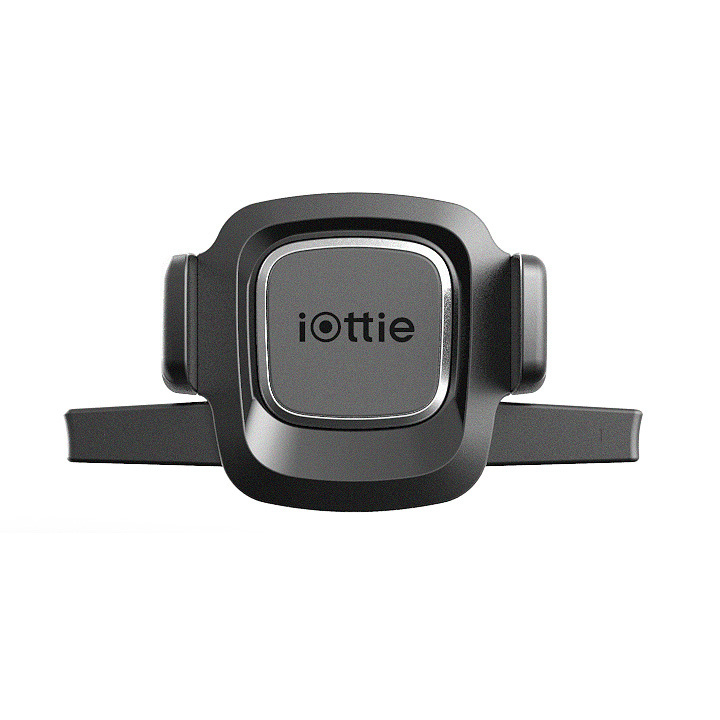 The locking Arms will automatically close to hold your smartphone safely on your air vent while you drive. Install the air vent phone holder by loosening the Twist Lock, and positioning it onto the air vent blade to tighten securely. 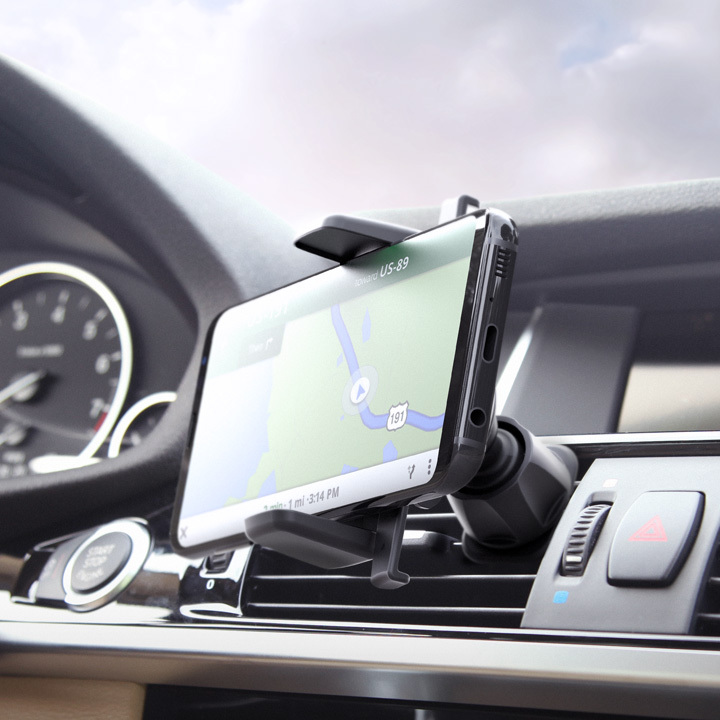 The Easy One Touch 4 air vent mount holds all smartphones and cases between 2.3." - 3.5”.